We reckon riding the bus has a bad rep. For too long it's been the boring way to travel - but we're here to shake things up! 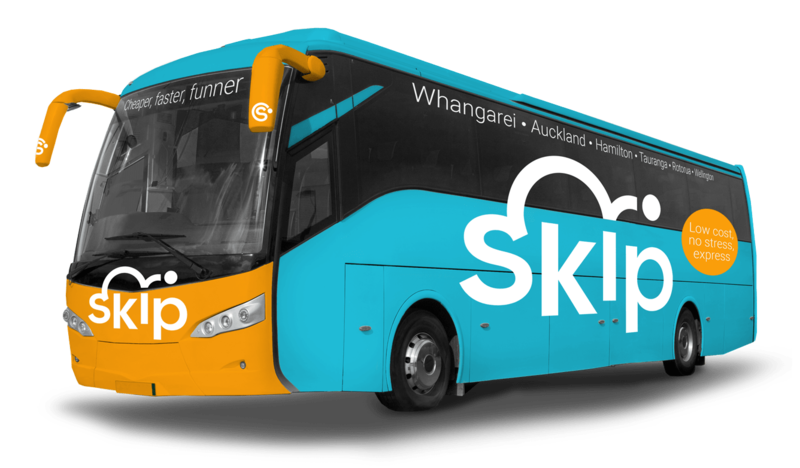 Get the bus to major North Island cities cheaper, faster, funner! Cheap bus travel, an easy ride, no sweat – it's just a hop, a SKIP and a jump. Riding with us is easy as! Book online and we'll get you there quick. This isn't a day out with your nan - we only go to the prime spots so you'll get where you're going fast. This is one stylish roadie... Our buses are modern and comfy (wi-fi all the way!). But we're all about straight up value, so there are none of the frills you don't need. Get to major North Island cities cheaper, faster, funner! Book now! Where do we go? Great! You're all aboard our mailing list.